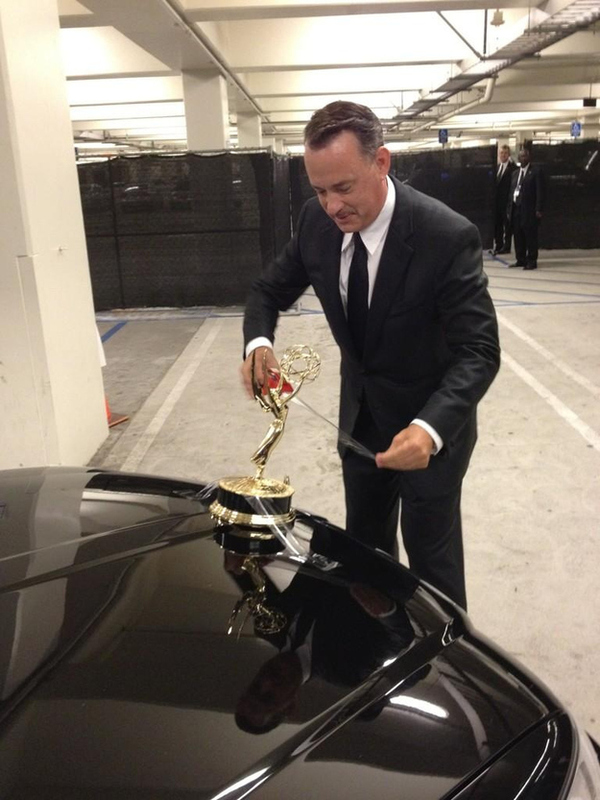 Home » Entertainment » Hollywood » Hollywood Buzz » Tom Hanks Tapes Emmy Award to Car and Takes it for Joyride! Tom Hanks won the Emmy Award for Outstanding Miniseries or TV Movie for his work as a producer on political drama Game Change at the 64th annual Emmy Awards. Guess what he did with his Emmy Award? Yep, he taped it to the front of his car and took it for a joy ride. Now isn’t that just crazy! I guess this is why Tom Hanks is cool!! Now, come to think of it? Is Tom Hanks mocking the Emmy Award? Next: Taylor Swift’s “Begin Again” Full Lyrics! Selena Gomez Parodies "Fifty Shades of Grey"
What is Phishing? How do i prevent phishing?